Located on Bend’s Westside, Groove Yoga mixes challenging poses with music to create a refreshing new take on an ancient practice. These aren’t dance classes, they’re just a different way to leverage yoga to increase flexibility, improve muscle tone, shed pounds, build strength, and relieve stress. Students of all levels are welcomed, not judged, and Groove’s instructors teach from a place of support with clear instruction and thoughtful sequencing. Classes are designed to be energetic, uplifting, challenging, and playful, but they book up quickly so reservations are highly recommended. Choose from Hot Groove, Groovy Yin, Power Groove, Rejuvenating Groove, and more. 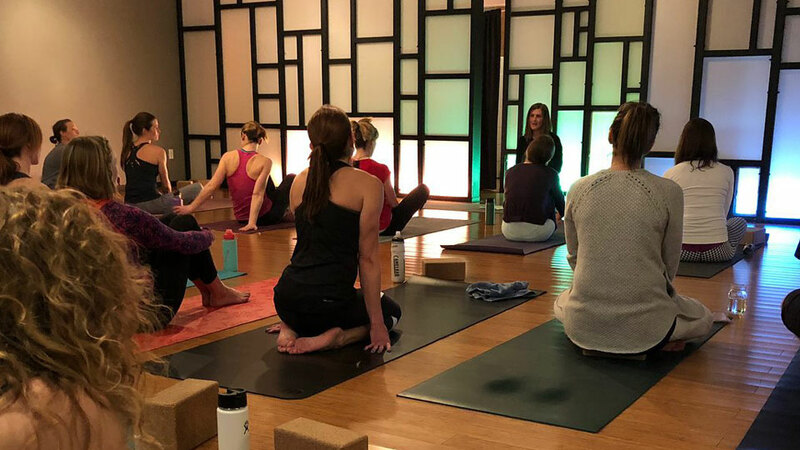 Private sessions are also available, and all options encourage students to reach the highest level of their own personal practice, study, and integrity on and off the mat. Come for a single session, buy a punch card, or commit to unlimited monthly classes. Whether you’re just exploring yoga and not looking for the enlightenment banter, or a seasoned yogi looking to mix it up a bit, Groove’s goal is for you to leave feeling empowered and knowing that you matter.